The season for golden onions in Egypt is well underway and early indications suggest it could be the most successful one yet, with the current demand for Egyptian onions rising to its highest rate in years. 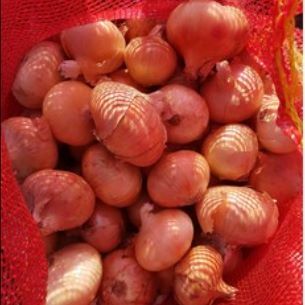 As Egyptian onions are typically flatter than those grown in the UK, many of the onion peeling machines on the market are unable to peel them due to their indifferent shape. The Large Onion Peeling Machine from M&P Engineering is extremely versatile and can peel, top and tail most types of onion up to 115mm diameter. This unique capability means the Large Onion Peeling Machine can facilitate the increase in demand for Egyptian onions.